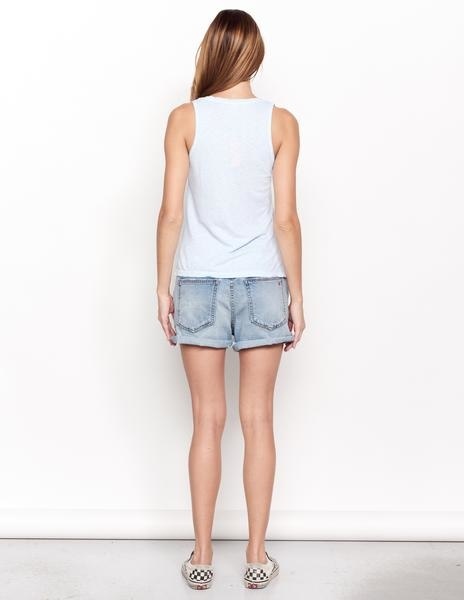 A v-neck tank cut in a slub jersey fabric. 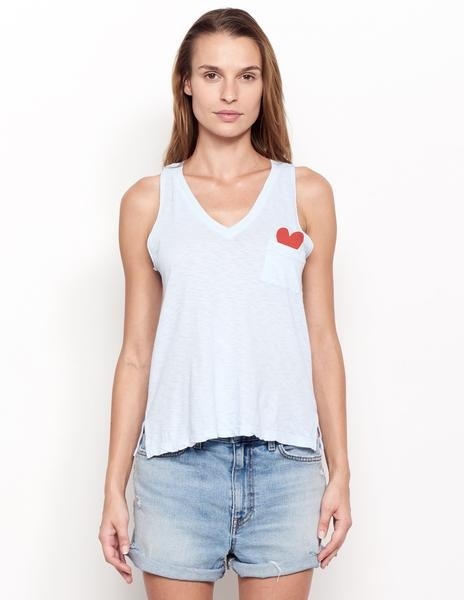 Featuring A pocket at chest and a printed heart in red. Printed in Crackbinder ink. Crackbinder ink creates a unique, cracked print surface when pulled apart after curing. The weathered effect of this ink simulates a vintage, worn in appearance.